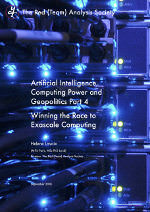 This final piece builds on the first part, where we explained and detailed the connection between AI and HPC, and on the second part, where we looked at the related political and geopolitical impacts: what could happen to actors with insufficient HPC in an AI-world, a world where the distribution of power now also results from AI, while a threat to the Westphalian order emerges. The responses available to actors in terms of HPC, considering its crucial significance need to be located within the complex framework we explained in part three. Accordingly, first, decisions regarding which HPC capability to develop must be taken in relative terms, i.e. considering others’ HPC and AIs. Second, each actor engaged in the race must consider how fast other actors will develop stronger HPC capabilities. Finally, the longer the lead time investing actors have over the next revolutionary advance in HPC, the longer they delay the loss of value of their investment, and the more performing the AI-systems they can create, which gives them a window of opportunity to take full advantage of their superior AI. In this dynamical framework we look at the obvious policy response actors designed: having more and better HPC, earlier, than the others. This is translated as the ongoing race to exascale computing, i.e. 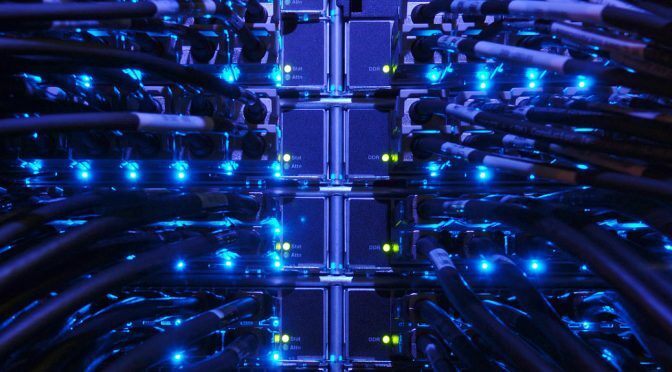 bringing online a computer with as capability a thousand petaflops or 1018 floating point operations per second, knowing that, currently, the most powerful computer in the world, U.S. Summit, shows a performance of 122.3 petaflops (TopList 500 June 2018). We start with a state of play on the ongoing “race to exascale”, which involves chronologically Japan, the U.S., France, China and the EU. We notably includes latest information on the indigenous European Processor Initiative (4-6 Sept 2018). The table summarizing the State of Play below is open access/free. We then point out linkages between this race and economic, business, political, geopolitical and global dynamics, focusing notably on the likely disappearance of American supremacy in terms of processors. Finally, strategically, if this race means going quicker than others developing better machines, it may also imply, logically, slowing down as much as possible, by all means, one’s competitors. Disrupting the very race would be an ideal way to slow down others, while completely upsetting the AI and HPC field, relativising the race to exascale and thus changing the whole related technological, commercial, political and geopolitical landscape. Thus, we underline two major possible disruptive evolutions and factors that could take place, namely quantum computing and a third generation AI. We shall detail both in forthcoming articles as quantum computing is a driver and stake for AI in its own right, while a third generation AI can best be seen as belonging to the driver and stake constituted by algorithms (“Artificial Intelligence – Forces, Drivers and Stakes”, ibid). Access for non-members or for your package is limited to the table summarising the state of play of the race to exascale. To read the complete article, become a member of The Red (Team) Analysis Society. A pdf version of the article is available for download to members (link in the second part of the article). Une version en français (pdf à télécharger) est également disponible pour les membres. To read comfortably off line, you can also purchase a pdf and an epub (ebook) version of the article with copyright permissions. Budget $0.8 to 1 billion*** $ 1.8 billion for the 2 ORNL and LLNL machines ? € 1billion+ by 2020** ? Cost per System Aurora:$300 to $600 million. Frontier and El Capitan: $400 to 600 million $350 to 500 million*** $350 million*** ? Research by The Red (Team) Analysis Society – Detailed sources in the text. ***Hyperion Research, “Exascale Update“, 5 Sept 2018. Lobet, Mathieu, Matthieu Haefele, Vineet Soni, Patrick Tamain, Julien Derouillat, et al.. High Performance Computing at Exascale: challenges and benefits. 15ème congrés de la Société Française de Physique division Plasma, Jun 2018, Bordeaux, France. Featured image: Computational Science, Argonne National Laboratory, Public Domain.